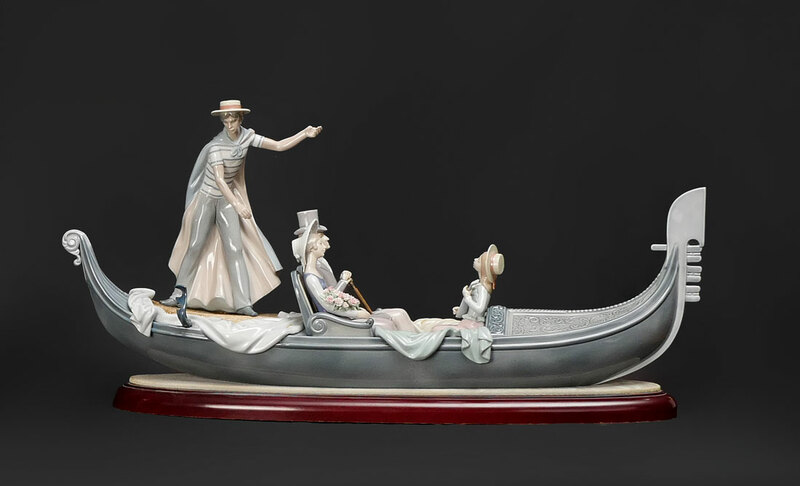 LLADRO IN THE GONDOLA 1350 PORCELAIN FIGURAL GROUP: Spanish name ''En La Gondola'', sculptor Francisco Catala, issued 1978, Limited Edition #4604, 13 1/2'' h. x 30 1/2'', sold with wood stand. CONDITION: Gondolier missing thumb, replacement pole, no box. COA in office.